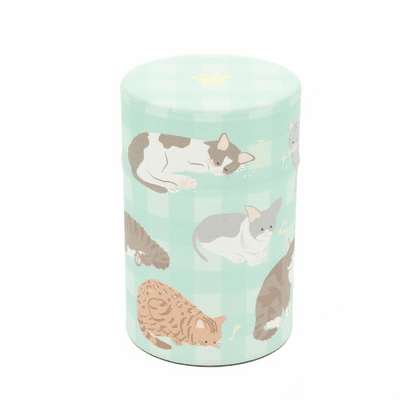 Cat poses tea canister can efficiently store your favorite tea. Holds up to 100 grams (3.53 ounces) of tea. 4 inches tall, 2-1/2 inches in diameter. Has an inner plastic lid to keep tea fresh.